I have never, ever encountered a book that does a better job of explaining the importance and value of art and artists than Leo Lionni’s Frederick. It takes all of these abstract concepts like art and emotion and, through the travails of these brilliant little collage mice, makes them easily understandable for young readers. This is a STAGGERING book with an amazing message, and it’s fun to read too. My daughter loves it. I recommended this book back in April when I bought it for another friend who had just had a baby, but let me make something clear. I DON’T think this is an essential home library book. It’s a gift book, a very cute gift book with a very cute premise. I bought it specifically because a). I know the mother is a Jane Austen fan and b). I like the idea of introducing two young girls to Elizabeth Bennet as early as possible. Will this win a Caldecott or change their lives? No. But it’s undeniably fun and that counts for a lot. 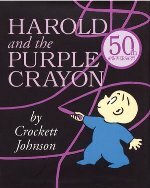 Why is the story of a young boy and his favorite crayon such a renowned work of children’s literature? 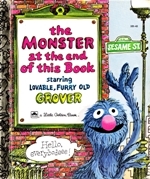 From my perspective, this is one of the first books that a kid ever encounters that lets them know reality is subjective and that they have power over it. What an insanely powerful concept to present to a kid. And what an amazing book. 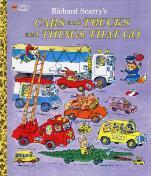 Easily one of THE most essential children’s books ever published. 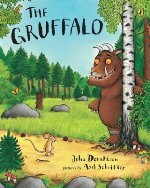 Donaldson and Scheffler are one of the most talented and wickedly clever duos in modern picture books, and The Gruffalo might be their most famous collaboration. A small mouse walks through the forest one day, scaring away predators with stories of the horrible Gruffalo. But what happens when the mouse stumbles upon the Gruffalo itself? It’s a wise little tale about brains over brawn and, though my daughter prefers Donaldson and Scheffler’s Charlie Cook’s Favorite Book, we find ourselves reading The Gruffalo all the time. Simply put, two of the most beautiful picture books in the history of the medium. Both of these books have won the prestigious Caldecott Medal and they both really, really deserved it. 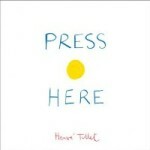 I penned an ode to Tuesday back in February, in which I said that it “might be the coolest picture book I’ve ever read. If I was making a list of the ten essential books that ANY home library MUST have (ooh, I might actually do that soon), Tuesday would definitely make the list.” And Flotsam is just as good. In my mind, David Wiesner is one of reigning Grand Poobahs the modern picture book and ANYTHING he publishes is totally worth your time. It’s strange to think that the character of Strega Nona has only been around since 1975. Tomie dePaola’s story of the good-hearted witch with the magic pasta pot has become so ubiquitous over the past 37 years that it just seems like Strega Nona has been around as long as Red Riding Hood, Cinderella, or any other folk tale fixture from history. Strega Nona is simply essential reading material if you’re a kid. To say anything contrary would be a real Big Anthony move on your part. Another worthy Caldecott winner and one of my favorite picture books of the past few years. A Sick Day for Amos McGee is both gentle and profoundly deep. A comforting tale about friendship and compassion all about a revered zookeeper who is visited at home by his concerned zoo animal friends when he takes a rare sick day at home. The Steads are major, major talents and reading this book to my daughter feels like sharing a hot bowl of chicken soup on cold, cold day. Just a wonderful read. Fun fact – I have never read this book. BUT remember when I just talked about how talented the Steads were? My respect for their ability to create fantastic kids books made me pick up this book for my friends, even though I hadn’t even opened it yet. When I went to the bookstore to buy my pals a copy of A Sick Day for Amos McGee and I saw this book sitting next to it – I just had to buy it. And I’m pretty sure I’m not going to regret the purchase. 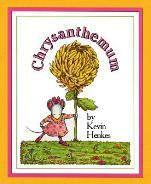 Henkes is a really talented storyteller with a lot of great titles to his name, but Chrysanthemum is my favorite. It’s a knowing, perceptive look at a young girl mouse dealing with self-image issues after being teased at school and, in addition to being a fabulous story, it also gives kids some amazing advice on how to be comfortable in their own skin. 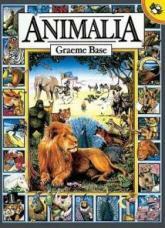 One of the best board books in history. A little boy plants a carrot seed and waits and waits, while his family tells him to give up and lower his expectations. One of the most simple and powerful books in our library. The first time we turned the page where the carrot finally appears out of the ground, my daughter GASPED. It’s that good. 20. Dr. Seuss’ ABC: An Amazing Alphabet Book! I originally was going to stay away from all things Seuss, since I know most of his books are fairly common baby shower favorites, but I love his ABC book and it used to be my daughter’s absolute favorite book to read while potty-training, so I couldn’t help myself. I hope these suggestions were helpful. The “one book a week” rule occasionally makes this process hard because there are SO many amazing books out there for kids. If someone asked me “Why didn’t Where the Wild Things Are make your list?” – I wouldn’t have a good answer. These just seemed like the right books at the time. So, let me present you readers with a question now – If your best friends were having a child, what books would you absolutely, positively have to buy them as soon as possible? 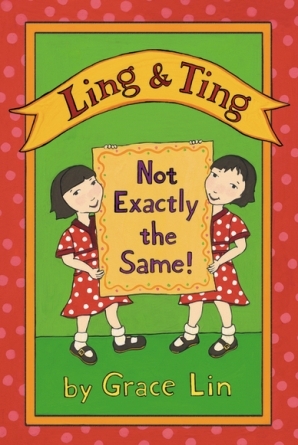 I’d love to know what titles are hands-down essentials for other kidlit fans out there. “What Was I Scared Of?” By Dr Seuss. I bought this after running across it at Sam’s Club. We love Dr Seuss, but I had never heard of this one. And only remember owning “Green Eggs And Ham” and the “Cat In The Hat” as a child. It was right before Halloween a year ago, and my daughter adores it so much we have easily read it 100 times in the year and a half we have owned it. Its a very sweet story about a very blustery little person who claims not be scared of anything. But then sees a pair of pale green pants that are wondering about with no on inside them. He spends the majority of the book bumping into these pants in unexpected places and running away and hiding from them. You come to discover in the end that the pants are afraid of him as well and so the little one comforts them and they become friends. When my daughter requests this book (first time we read it she was 1, almost 2 and now she is 3) she asks for the pale green pants. She can almost quote whole pages from this book and its ridiculously funny when she tries. Its a ton of fun for a parent to read as well, if one is the type of parent to make an idiot of themselves for the amusement of their child (I just so happen to be that kind of parent). Also I love Jane Austen immensely. And when I was pregnant with my daughter found a beautiful unabridged illustrated cope of “Pride And Prejudice” that I bought for her. We haven’t read the whole thing because she hasn’t the attention span to go back to it every night. But she does enjoy the scenes where Mrs Bennett has a lot of dialogue, those are very fun to read for me to read and for her to listen to. Again you would have to make an idiot of yourself. And this is probably not a an overwhelmingly clever pick but, “Love Is Handful Of Honey” written by Giles Andreae and illustrated by Vanessa Cabban is a favorite board book of my daughter’s. Its a very sweet book. My favorite passages talk about actions being love, like one of the parents listening to the little bear talk about his day. And those are concepts that are incredibly important to my family’s values. And I feel like this book is very good for giving words to that concept and cementing it in a little one’s head. When my daughter was two one of her aunts asked her how she knew I loved her and she answered with actions like making her food and reading her books. I feel like this book was part of her learning that. We have read Jamberry more than any other book in our house. My daughter and I both love it. She is 12 and still sometimes asks me to read it to her. What a fun tradition that you are passing around! Books are my definite go-to gift for birthdays – 0 and beyond! Am I the only one who doesn’t really like Dr. Seuss? I enjoy “Yertle the Turtle”, but the rest of them drive me mad! “Each Peach Pear Plum” is one of my favorite board books. My daughter loved it so much I didn’t even mind having to explain why Baby Bear almost shot Baby Bunting with his shotgun. Regarding Dr. Seuss, we’re definitely not as a Seuss-crazy as some families we know. The only Seuss titles that were ever in heavy rotation in our house were Green Eggs and Ham, Hop on Pop, the two Cat in the Hat books, and the ABC book. Hop and ABC got retired once my daughter was older, but we do occasionally check in with Green Eggs or the Cat. We own copies of Yertle, Horton, and the Grinch, but we only read them very occasionally. They’re not really high interest titles for my daughter.